Reserve your booth today to lock-in to your first choice location for maximum visibility and traffic. This ad is updated monthly and runs in the ARCHIVES of Physical Medicine & Rehabilitation. This ad was created with exhibitors since 30 January 2018. Shouldn’t your organization be here, too? TWO FULL-CONFERENCE REGISTRATIONS that allow you to participate in educational sessions, network with attendees, and better understand the needs and interests of your target audience. 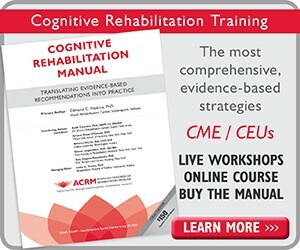 LOGO in ARCHIVES — Your Logo included in monthly ACRM print ads in Archives of Physical Medicine and Rehabilitation, the most cited journal in rehabilitation. Logo PLUS 50-word description in the printed onsite conference program brochure AND the program lives online for one year post-event. Logo PLUS 50-word description and hyperlink on ACRM.org. 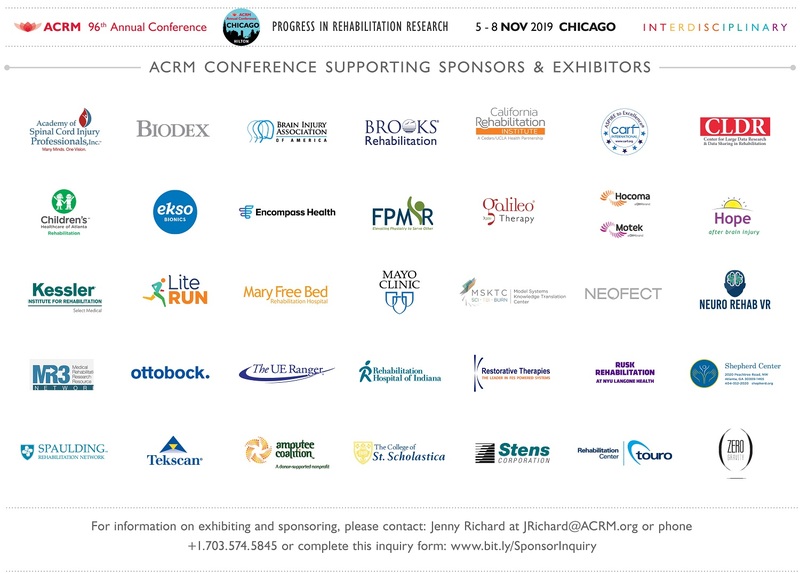 Post-conference online listing on the ACRM Conference webpage for one year. Acknowledgment in ACRM eNews, the weekly member enewsletter. Pre-conference eblasts introducing attendees to exhibitors. 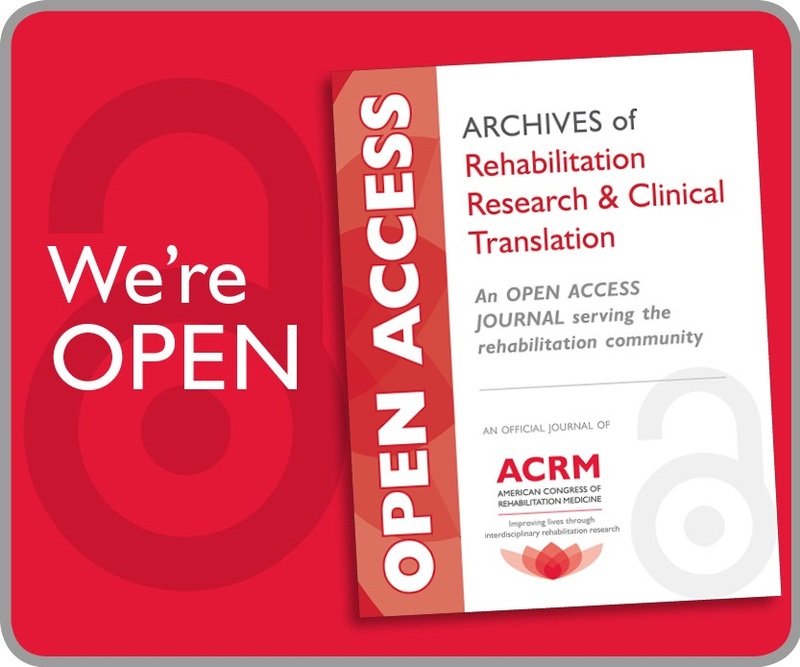 Get in THE ARCHIVES — the sooner you sign-up, the more times your logo can appear in the THE MOST-CITED JOURNAL IN REHABILITATION. Contact: Jenny Richard, Director of Member Services & Community Relations at +1.703.574.5845 or complete the INQUIRY FORM here. For details, contact Jenny Richard +1.703.574.5845 or complete the contact form here. Logo in onsite conference program AND the program is posted online before the conference and lives online for at least one year post event. Logo included in signage onsite. 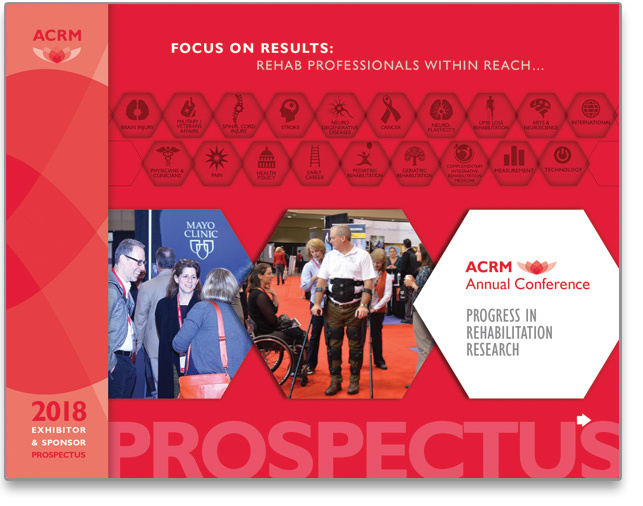 LOGO in ARCHIVES — Sponsor logo in monthly ACRM print ads in Archives of Physical Medicine and Rehabilitation, the most cited journal in rehabilitation. The earlier you commit, the larger and more exclusive your logo will appear in MORE issues leading up to the conference. EARLY SIGNING BONUS — LOGO in ~100,000 copies of printed preliminary conference brochure printed and mailed to rehabilitation professionals who sign-up before the spring deadline. Early Signing bonus expires 13 APRIL 2018. 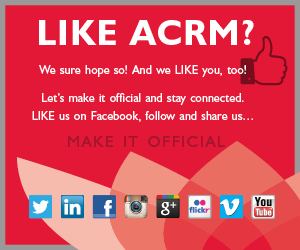 ACRM eNews: sponsor name to appear in each issue of this weekly member newsletter leading up to the Conference. ACRM.org website: logo and hyperlink to appear on the sponsor page on the ACRM.org website. 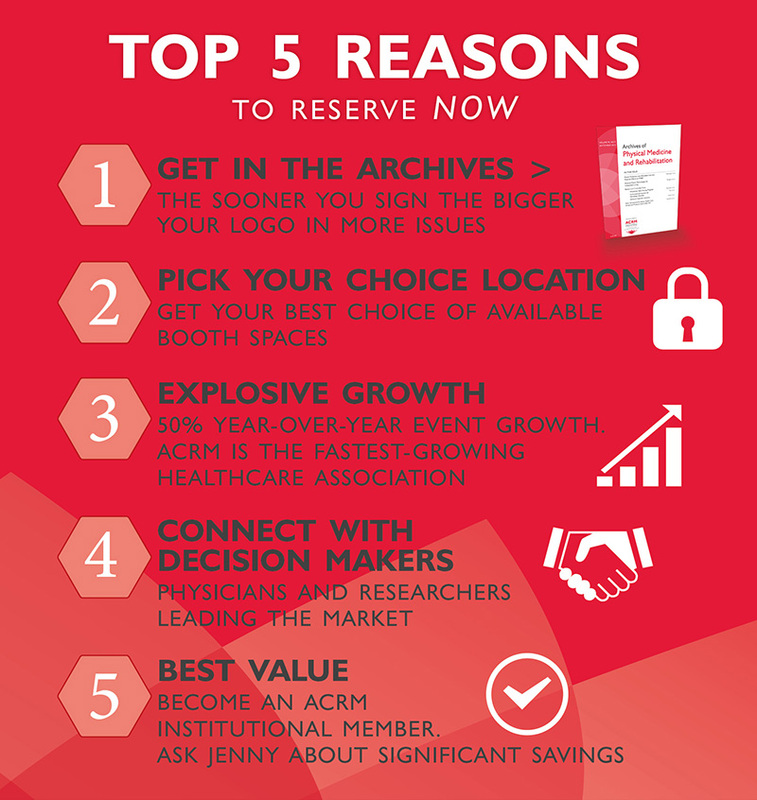 ACRM can customize packages to best suit your needs. CONTACT: Jenny Richard: JRichard@ACRM.org or phone +1.703.574.5845 or complete this inquiry form.